4.2.5 ニューヨーク市地下鉄: 「チカンやめろ！」はかっこいいけど, NYでは十分ご注意を・・・ - dutcheez’s Fun with English! 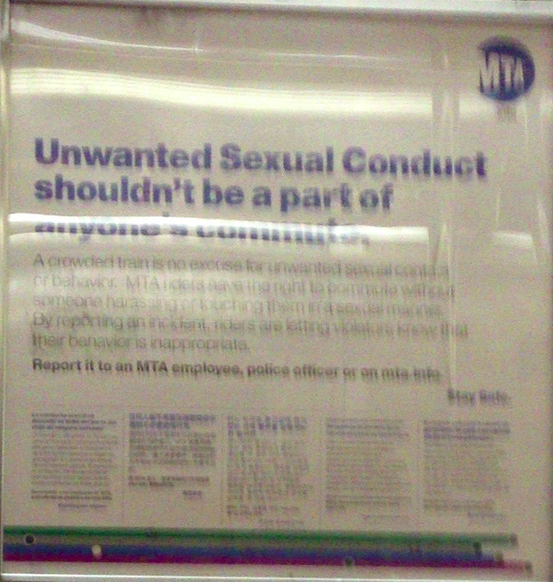 Unwanted sexual conduct shouldn't be a part of anyone's commute. A crowded train is no excuse for unwanted sexual contact or behavior. MTA riders have the right to commute without someone harassing or touching them in a sexual manner. By reporting an incident, riders are letting violators know that their behavior is inappropriate. Report it to an MTA employee, police officer or on mta.info. Stay Safe. 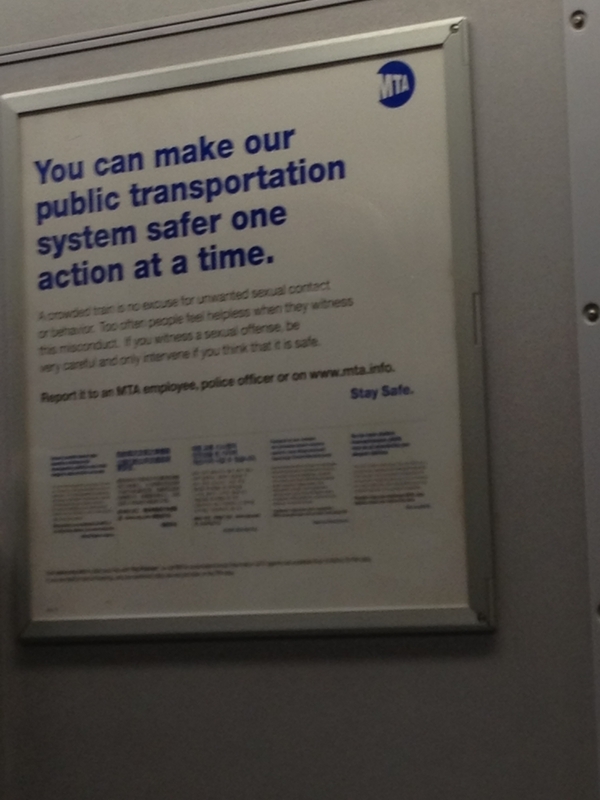 You can make our public transportation system safer one action at a time. A crowded train is no excuse for unwanted sexual contact or behavior. Too often people feel helpless when they witness this misconduct. If you witness a sexual offense, be very careful and only intervene if you think that it is safe.